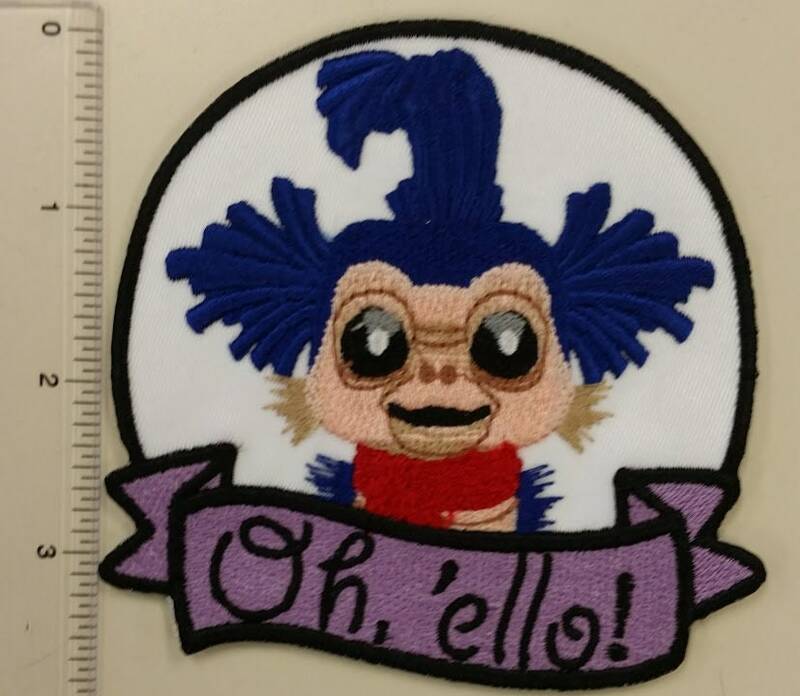 This super cute patch is inspired by the movie Labyrinth's worm that greets Sarah with Oh 'ello! 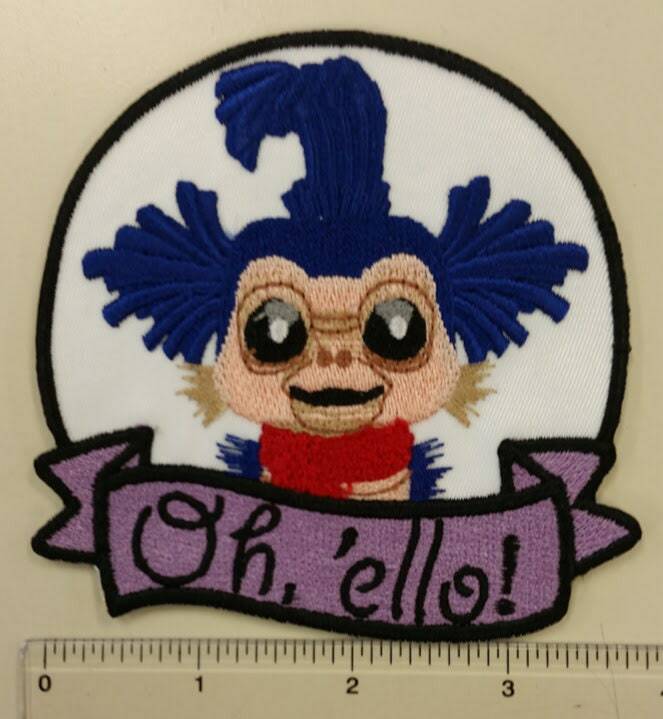 This patch is embroidered with royal, fleshtone, khaiki, black, red, and light purple thread with the words "Oh 'ello on the banner. It has an iron on adhesive to make application easier and measures approximately 4"W X 4"H.
You have to be a true fan to appreciate this. Looks amazing and shipped quick. Omg!!!!!! Look at him!! This patch is great quality and I received directions!! Haven’t put it on my jean jacket yet but oh boy will be perfect on it!! Got it in two yes two day!! Highly recommend!! 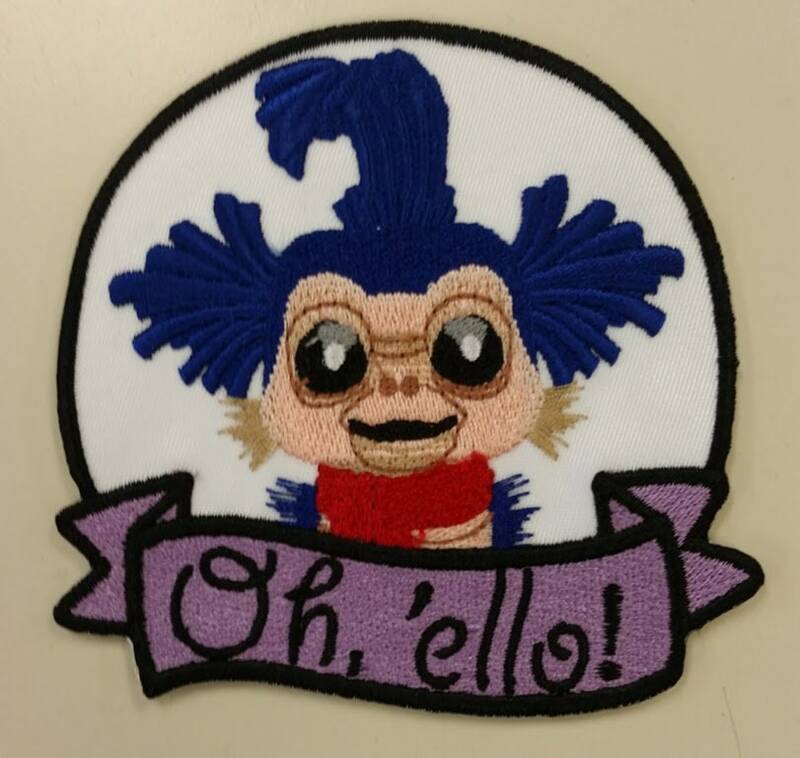 This patch arrived quickly and was absolutely perfect! Love it!